We sell joinery, framing, tools, adhesives & sealants, locks & security equipment, pre-cut / pre-nailed frames and roof trusses etc. Visit our product pages to find out more. Welcome to Hamptons ITM - located at 151 Ferry Road, Christchurch. 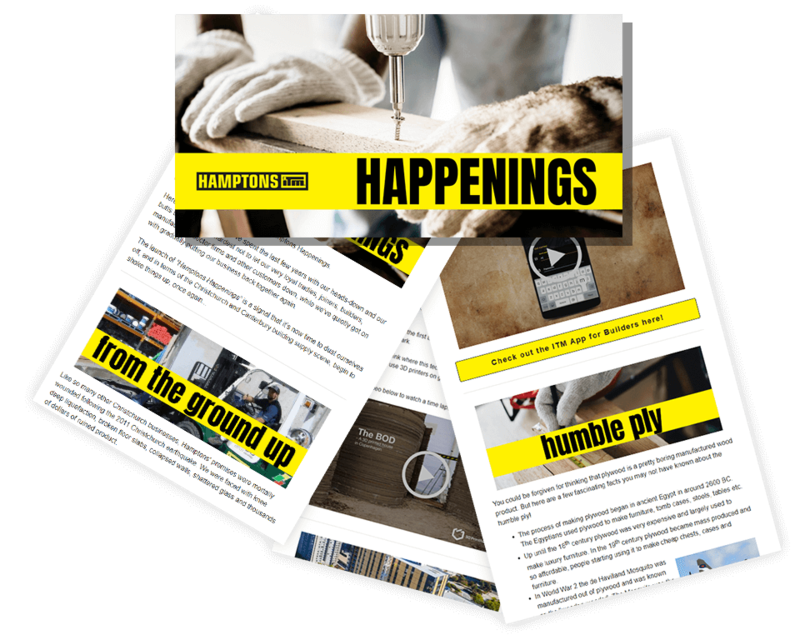 Hamptons are a member of ITM, New Zealand’s largest group of Independent Timber, Hardware & Building Supply Merchants. You can depend on us to ‘see you right’ for all your building needs!